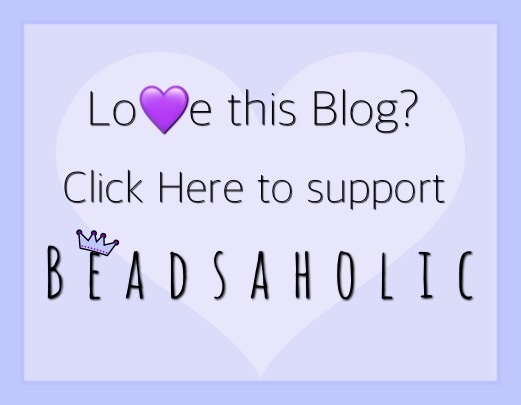 Today Beadsaholic brings a review of Trollbeads Black Friday Snowflake Obsidian! Snowflake Obsidian is a natural black volcanic glass containing the mineral cristobalite which gives it the snowflake pattern and through volcanic process becomes a true stone. This is a great stone for meditation as it is soothing and promotes calmness. It is also said to help the wearer release and dispel negativity and bring balance. I was lucky to receive a really nice stone with lots of snowflake patterns throughout. Being that these are natural stones, you will find that they vary a good bit. Here on the side you can really see all the snowflakes in my stone. Here I have combined the Obsidian with Pearls, Guiding Star and Star of Wisdom. I really love the Snowflake Obsidian with Onyx, Stardust, and Come Together. Here I tried it with some grey-ish beads from the fall collection. Snowflake Obsidian, Stepping Stones, Mountain Climb, Dancing Dragons and Neverending. I wish my labradorite were greyer as I think they would look nice together. I think it works well with some of the faceted black base beads from fall 2017. Here you see Snowflake Obsidian, Voice of Wind, Acorns, Noble Deer, and Wise Owl. I think it also looks nice with the two recently released Stones Pyrite and Steel Hematite. Silvers are Trollbeads Response and Momentum. 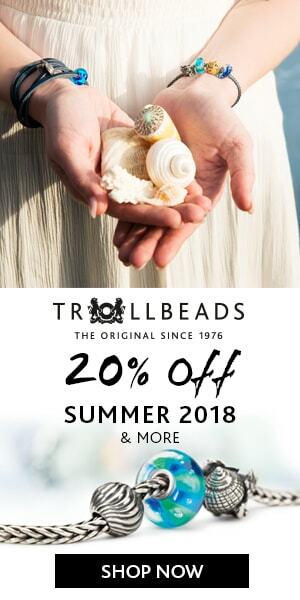 Over all, I think this is a nice bead and if you collect Trollbeads Stones this will be a great bead to add to your collection. If you like wearing stones for their healing energies then this is one you will want to wear as we could all use a bit more positive energy and balance. Trollbeads Snowflake Obsidian releases Black Friday November 24, 2018 and is available at the following links. I also was hoping for another sparkly bead, as in the last few prior years. Still, I preordered this one from a live image. I selected a mostly black one with a light scattering of flakes. I plan to wear it on a Trollbeads cuff, alongside the snowman and Blizzard, hopefully to represent a dark night with a gentle snowfall. I like your full-out snowstorm though! Oh Mary, this sounds beautiful! I love the idea of a few flurries or gentle snowfall.